Make a bold statement with our Gallery Wrapped Canvas. 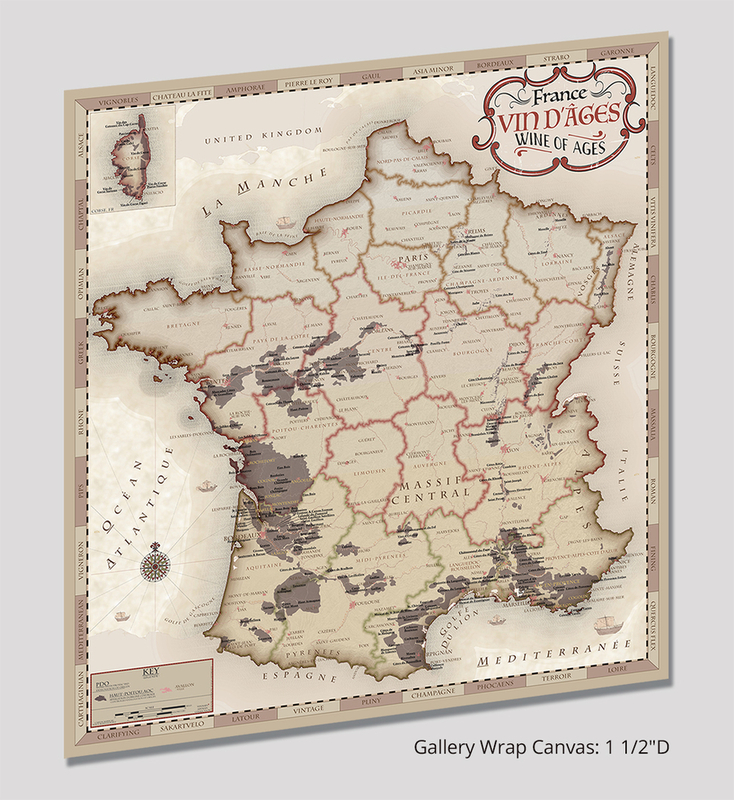 Our France Vin d’Ages is a detailed journey through famous wine regions in France. 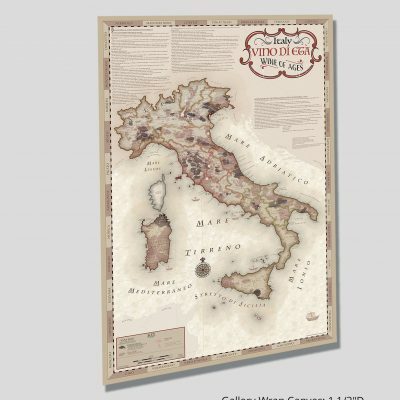 Let your eyes wander throughout our antique, old world styled map that is steeped in a rich, complex history. 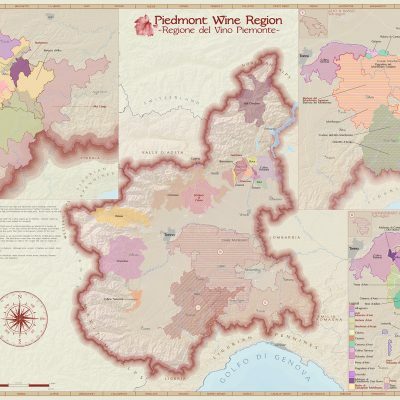 This unique and one of a kind work of Cartographic Art is a perfect gift for the wine connoisseur or a fine addition to your wine cellar, living space or place of business.